Overlay Designer Pro Version 2 is the perfect utility software for creating symbol based and visual scene communication displays! Create customized communication boards, program the Smart/Series memory flash, print and archive your sound files directly from your PC. Overlay Designer Pro is ideal for creating interactive communication displays for AAC users. 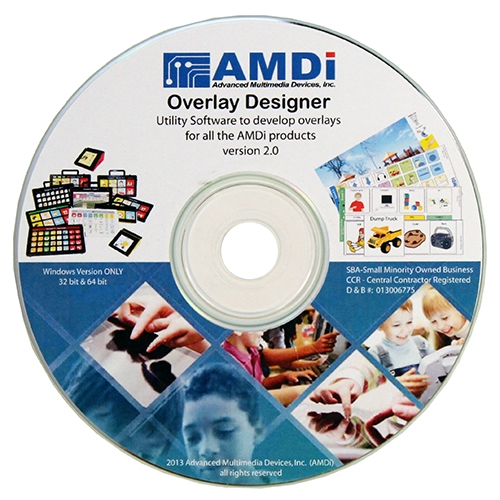 The package includes software to create your overlays. Simply open a template, choose symbols from the SymbolStix™ or our own Tech/Sym libraries, add text, print and insert the overlay into your Smart or Tech Series device.